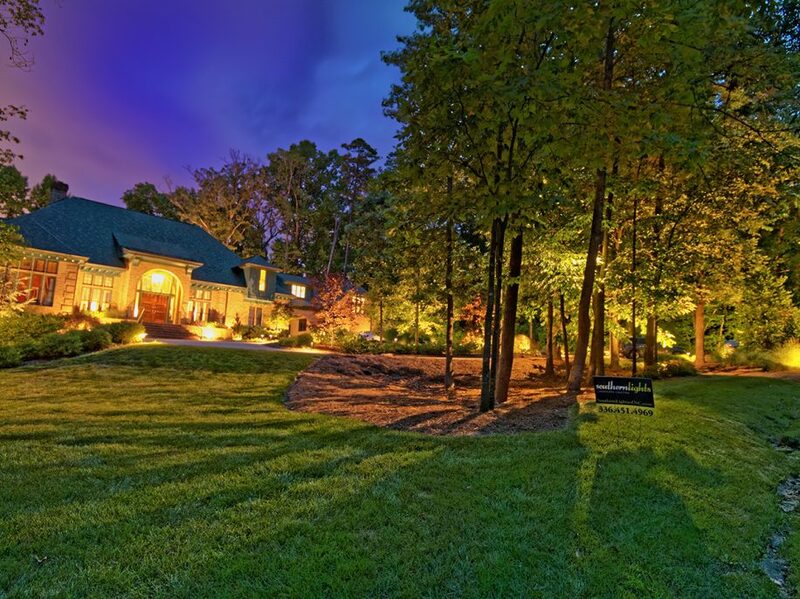 Blog Outdoor Lighting: System Repair or Replacement? Outdoor Lighting: System Repair or Replacement? Remember when your landscape lighting system was shiny and new? It could light up your entire property without any issues. But as time continues your system begins to break down leaving your property looking dark and uninviting. It’s understandable; bulbs burn out, wires get cut or malfunction, and fixtures get damaged. Sometimes the cost of repairing a landscape lighting system makes people think about just replacing their entire system. What should you do about it? When should you repair and when should you replace? In order to determine the best course of action, we need to do some troubleshooting. So let’s “open the hood” and take a look at the three primary segments of your landscape lighting system. The transformer is what powers your entire outdoor lighting system, so issues with a transformer can effect the entire system. If your lights are malfunctioning, it may be due to a loose connection inside the transformer. Loose connections can happen over time as your system is being turned on and off, but it is typically an easy repair. We can just tighten up the connection with a screwdriver, and you’re all set. However, some loose connections can cause serious and expensive issues for homeowners. It is possible for electricity to still move through a loose connection, which can cause heat that may melt connections, cause shorts, or even become a fire hazard. Pray that this isn’t the issue, because there often no repairing melted connection. You simply have to replace the whole transformer. If the lighting fixtures themselves are damaged, they can be repaired or replaced fairly easily. Because they can be repaired, don’t ever throw a fixture away before talking to your lighting technician first. If the fixture is fine, then there might be a cut wire someone in the ground. This can happen during aerations, careless shoveling, or trenching, but can also be fixed relatively effortlessly. However, if your malfunctioning fixtures are cheap pieces of plastic and/or composite aluminum, you may just want to replace them. Cheaper fixtures have short life spans and can be a waste of money to repair, unlike the high quality brass and copper fixtures we use. At the moment of installation, fixtures are harassed by the elements, enduring storms, snow, wind, and your energetic children (they are a force to be reckoned with). Your lighting fixtures serve a very important purpose, so make sure that they are performing optimally be doing some regular maintenance. Let us know if you are having any issues with your lighting fixtures, it may be time for an upgrade. If one or more of your lights keeps going out, it is probably due to a poor connection. This is the most common issue that we face as lighting technicians. Connections, quite simply, are how your fixtures are connected to the wiring that leads to the transformer. Some companies bury the wires with pierce connections and wire nuts that will cause issues in the future. If corrosion occurs, these connections will need to be replaced in order to get your system up and running again. Instead, you should use watertight connections that are corrosion resistant, even when they’re buried underground. If you are having problems with your system and you aren’t sure how to proceed, call Southern Lights Landscape Lighting for assistance. We can give you expert recommendations, as well as perform the replacement or repair ourselves. This way, you can be sure you are getting a professional diagnosis and solution from our first meeting.